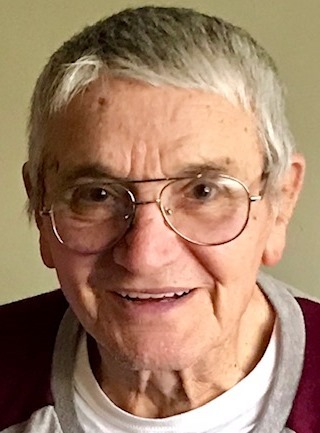 Lawrence L. Dill, 86, of Covington, passed away Tuesday, April 2, 2019, at the Covington Care Center. He was born September 15, 1932, in Dayton, to the late William Henry and Katie B. (Self) Dill. He married Norma Jean (Magee) Dill on September 26, 1959, and she survives. Lawrence will also be missed and remembered by his son and daughter-in-law, Gary & Linda Dill of Covington; a daughter, Nancy Warner of Texas; two grandsons, Brandon Wood and Jacob Dill; a sister, Dorothy Baird of New Paris; a brother-in-law, Jerry Magee of Dayton; a sister-in-law, Janet (Dale) Nice of Kettering; and numerous nieces and nephews. He was preceded in death by three sisters and three brothers. Lawrence served in the U.S. Air Force during the Korean War and retired from Standard Register of Dayton. Private graveside services and burial with military honors will be at the Dayton National Cemetery. Arrangements are in care of Moore Funeral Home, Covington. Online condolences may be left for the Dill family at www.moorefh.com.